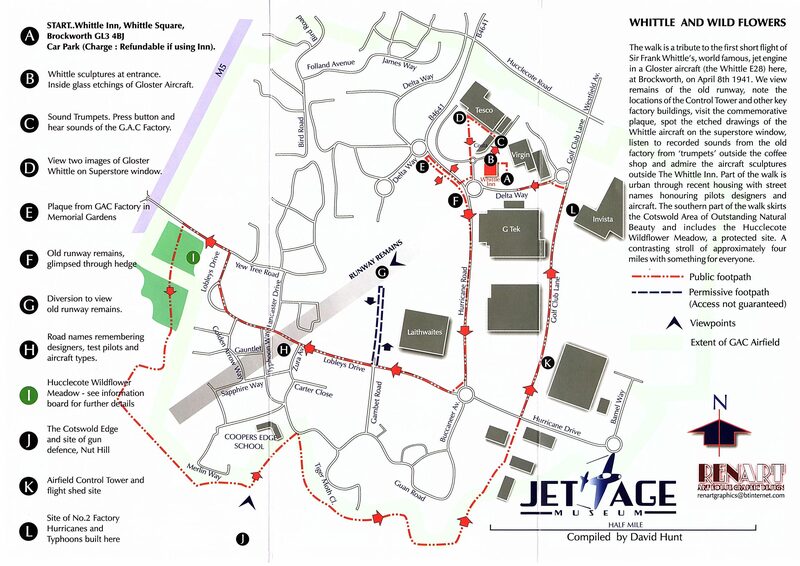 When you have enjoyed the walk consider visiting Jet Age Museum where Gloucestershire’s aviation history is remembered and displayed. Open 10am to 4pm Saturday and Sunday. Wednesday, 10am to 4 pm, during school holidays. 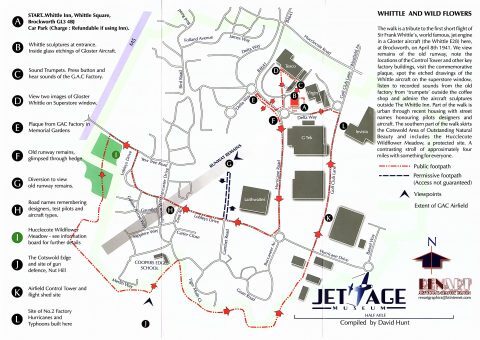 A copy of this map can be obtained from the parish council office.